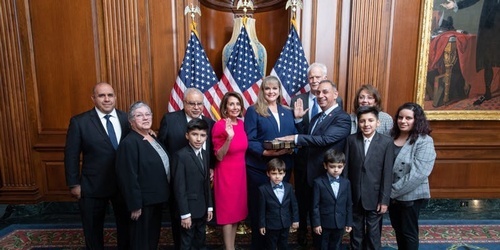 The Community Swearing-in Ceremony for Congressman Gilbert R. Cisneros Jr. will be held on Saturday, February 9, 2019 from 2:00 p.m. to 3:30 p.m. at the George G. Golleher Alumni House. *Please enter campus through entrance 5 off State College Blvd. and Student Union Way.